Most self-employed workers and small business owners take the maximum number of tax deductions to minimize the amount of taxes owed. The benefit in the short run is that you don’t pay the IRS as much money. However, there’s a downside that you may not immediately realize – your reduced income may disqualify you for major loans, like a mortgage or small business loan. You may make a lot of money, but because you don’t want to pay taxes on all that money, you look for every opportunity to write something off on your taxes – magazine subscriptions, miles driven, trips related to your business, home office deduction, new office furniture, computer, cell phone service, etc. Because you can deduct things you haven’t directly spent money on like depreciation and miles driven, your freelance business can actually show a loss, even though you’ve made a lot of money and lived comfortably the entire year. Since you don’t have a W-2 or paystub to confirm your income, the bank requests copies of your previous tax returns when you apply for a loan. They’ll ask to see at least two tax returns to confirm that you’ve been consistently self-employed. Though, your tax return shows your revenue or gross income, banks use your Schedule C income, which has been reduced by all your business deductions, to decide whether you could afford to pay back the loan you’ve applied for. You’ll find that even having excellent credit won’t help you qualify for a loan because it all comes back to whether you can actually afford to pay back the loan. Maybe you could afford to repay the loan. After all, you make a conscious decision to spend money on tax-deductible items so you can reduce your taxes. You could just as easily divert that money toward repaying your loan. However, with banks how you’ve spent money in the past is the best indicator of how you’ll spend it in the future. If you’re planning to apply for a loan soon, the answer to this dilemma isn’t a good one. You’ll have to take fewer tax deductions so your income looks good enough (on paper) to qualify for a loan. Unfortunately, that means paying more money to the IRS, at least for the next two or three years or until you’ve been approved for the loan you’re seeking. Then, you can go back to writing off deductions as you were before. Hopefully, you can plan far enough in advance of any future loans so you can adjust your tax returns accordingly. LaToya Irby is a full-time freelance writer and a graduate of the University of Alabama. 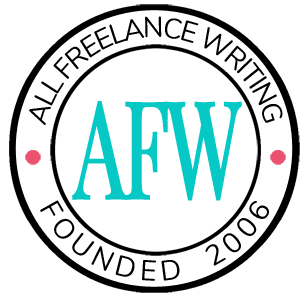 She primarily writes about personal finance, freelancing, and other self-employment topics. Read more posts from LaToya Irby.